When Gorvins came to us they were looking for an improved look and feel to their current site, with an emphasis on user experience and ability to integrate with all marketing channels. 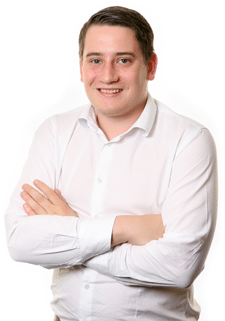 In addition to this, Gorvins were also looking for a user-friendly system that enables their team to manage their website with simplicity and ease, as they felt their old website was dated and didn’t rightfully portray them as industry leaders. 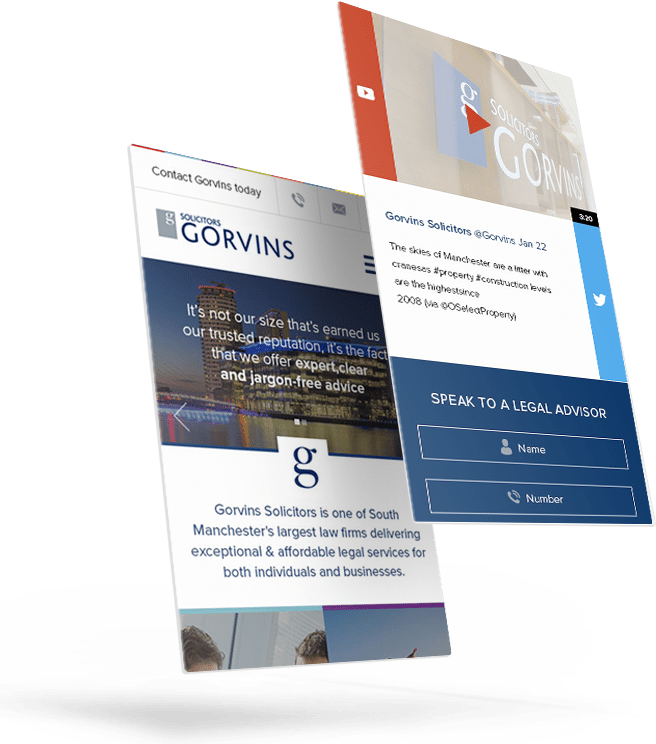 Our solution offered Gorvins exactly what they wanted; a fully responsive website that delivers full control of the day to day management. 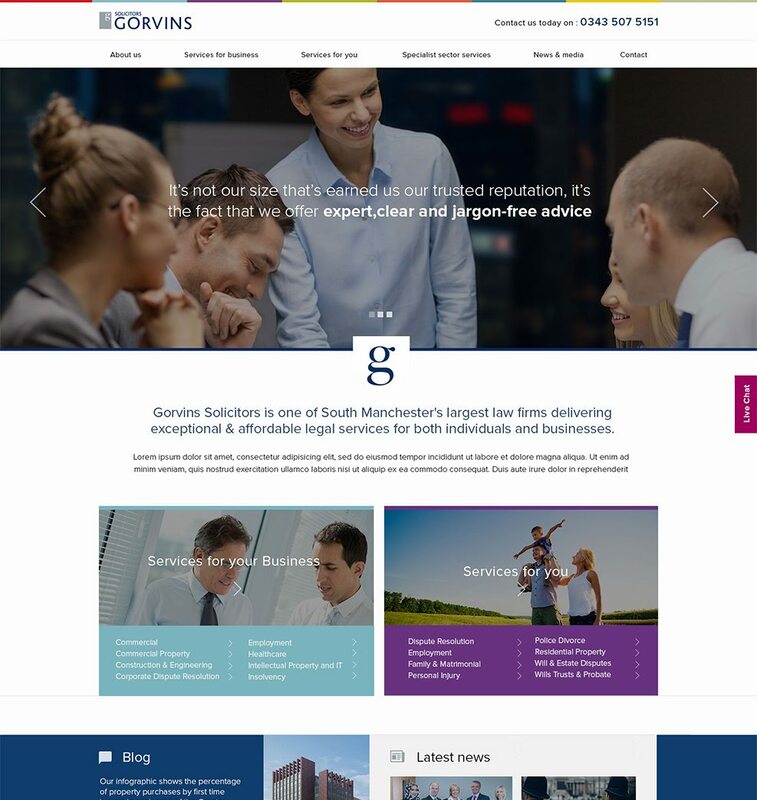 But we didn’t just stop there, with a heightened UX and a UI strategy geared to showcasing their specialist legal offering, we transformed the look of the Gorvins website to bring their ideas, brand and project to life. We transformed the look of the Gorvins website to bring their ideas, brand and project to life. 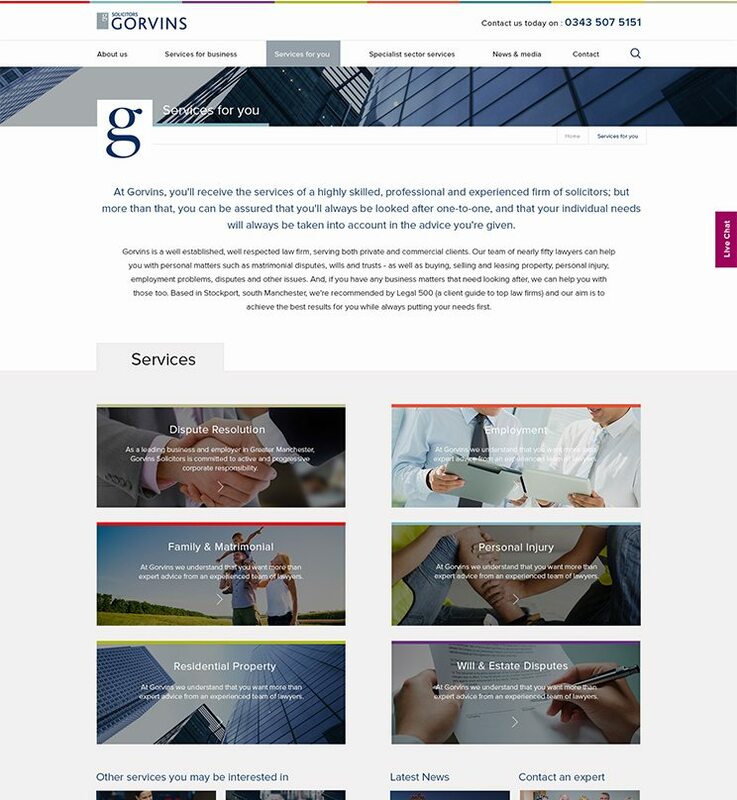 After having their new site designed and developed by us, the Gorvins team were thrilled with the result and the user-friendly system. 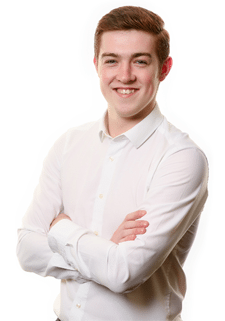 Not only that, but they’re now able to benefit from an increase in online visibility and relevant website traffic too, meaning that their stunning new website enables them to attract new customers from far and wide.